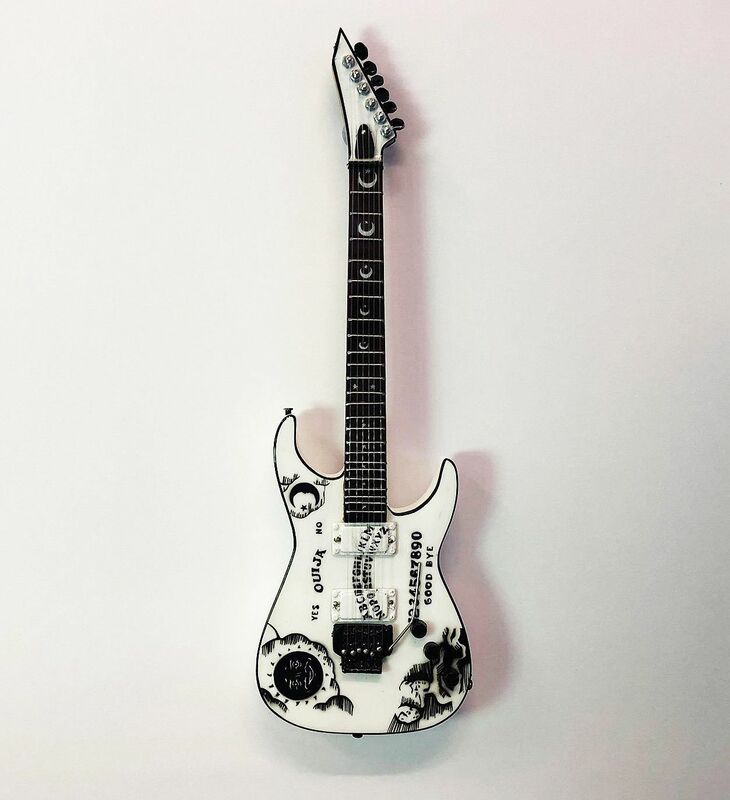 Kirk Hammett - White Ouiji Miniature Guitar. 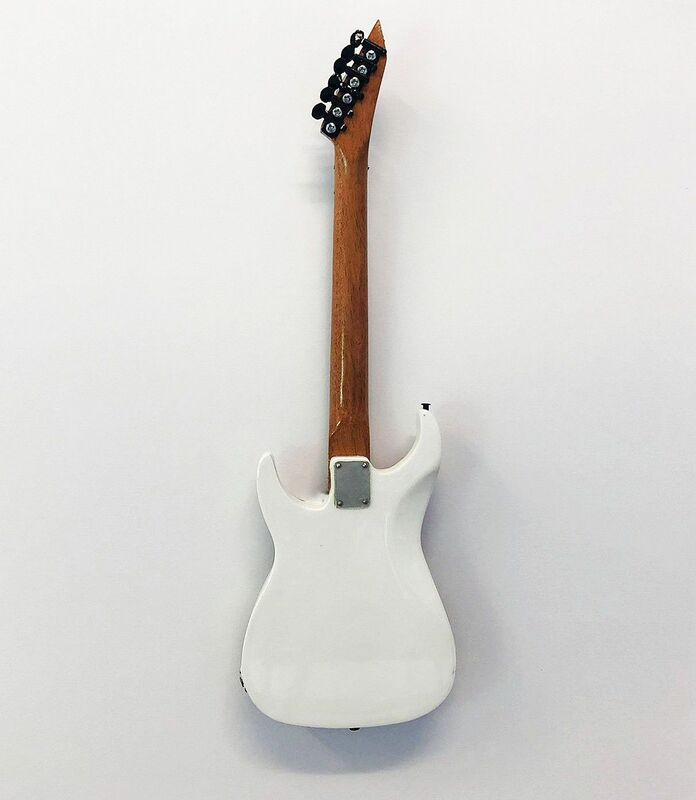 This miniature guitar is a replica of the Kirk Hammett White Ouija guitar. 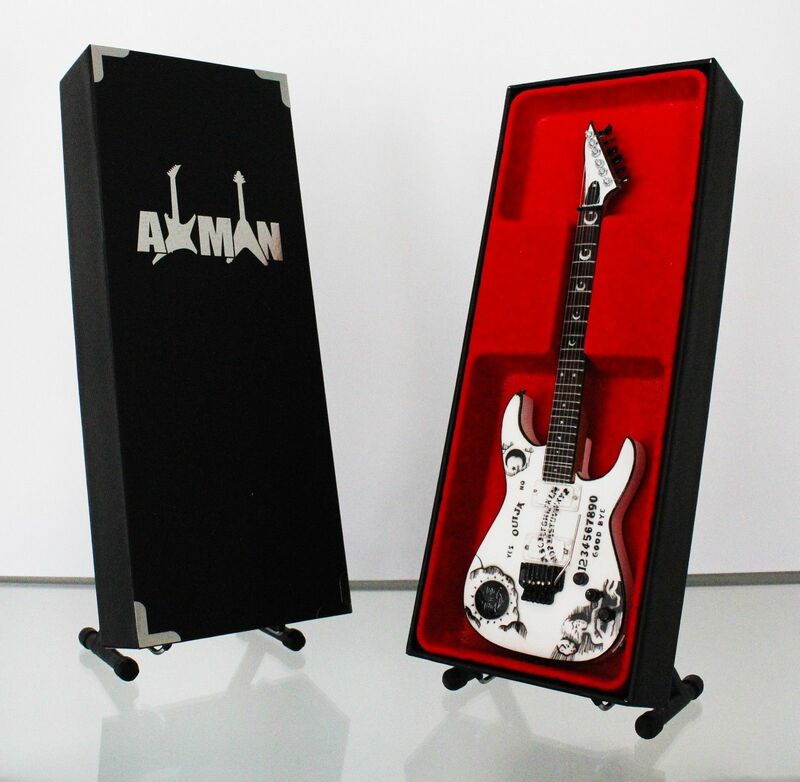 Staying true to the original guitar with its stunning Ouija board graphics, black hardware and white fretboard inlays.